Sam Noertker, a member of the Cole Project, helped arrange events for the Teen Safe Space. The Cole Project is a nonprofit that helps youth grieving after the death of a loved one. 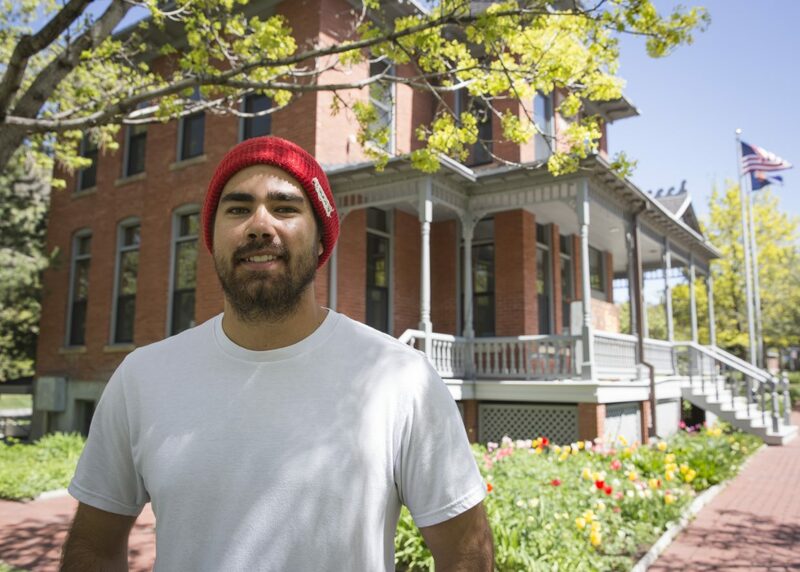 If someone passed by the Miners Hospital at City Park in recent days, they might have seen students in a circle playing instruments, doing yoga or petting a heap of puppies. Currently, the hospital is home to a Teen Safe Space. 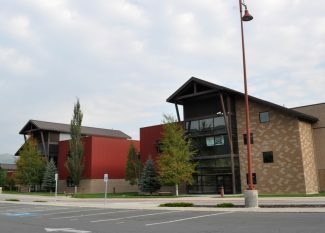 The space, where mental health resources and support for youth are available, is part of a pilot program with CONNECT Summit County, Summit County Mental Wellness Alliance and the Cole Project. 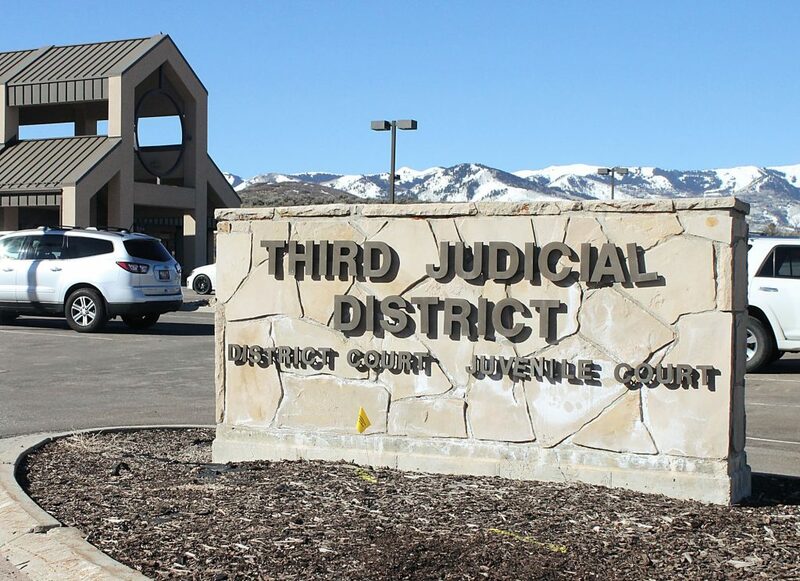 If successful, the Teen Safe Space could become a more permanent feature in Park City. The idea to implement the safe space came from Maya Levine, a junior at Park City High School. 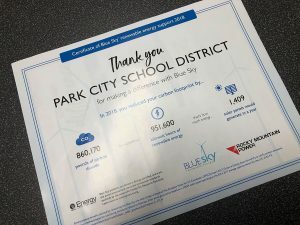 As a member of Park City’s Youth Council, she was tasked with helping to survey students at the high school about what facilities or resources they would like to see in Park City. A hang out place for teens was listed on the survey, but Levine said that few students were in favor of creating one. Some did, however, mention the idea of a safe space. Mental wellness has been on everyone’s minds after increasing rates of youth suicide were reported. After seeing this response from her peers, Levine sprang into action. She started talking to fellow students and contacting organizations. Soon, CONNECT Summit County and the Summit County Mental Wellness Alliance were helping to sponsor the space and rent the building for it. The safe space has been live since May 12 and will continue to be at the hospital until May 30. The space is organized for students to sit and study, discuss topics in a group or meet with an adult trained in QPR — Question, Persuade, Refer, a strategy used with those with depressive or suicidal thoughts. 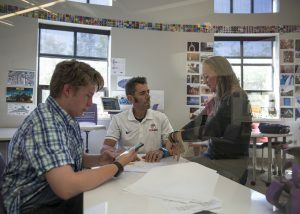 There are also events held in the space, such as classes about addressing conflict and sign-making with a Park City High graduate who gives speeches about bullying. Pamphlets with information about mental health are also available at the space. On Wednesday, May 23, Skullcandy planned to host a night of live music at its headquarters as part of the Teen Safe Space. Music therapists were scheduled to be present. Sam Noertker, a member of the Cole Project, said that music can help many people when they are struggling. The Cole Project, which provides grief support to young individuals who have been affected by the death of someone they know, frequently utilizes music to help people who are grieving. He has played a critical role in planning the youth music night, as well as providing support to the Teen Safe Space. 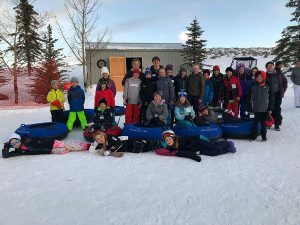 He said that the program could benefit students who feel uncomfortable approaching a counselor at school about an issue they are dealing with in their personal lives. He hopes that, through the space, students can learn that there is always someone available to listen to them if they need it. Levine agreed that it can be difficult for students to seek help when they need it, which is why she decided to make the Teen Safe Space. The amount of visitors has not been high, but some students have been using the space since it opened, especially when it hosts events, Levine said. She plans to gather feedback from students to learn how they can improve the space in the future. She will present her findings to CONNECT Summit County and the Summit County Mental Wellness Alliance. After another trial run later this year or in 2019, she hopes to find a permanent location to have the Teen Safe Space year-round.